LC-4.4B High purity Monocrystalline Silver-plated copper earphone cables. 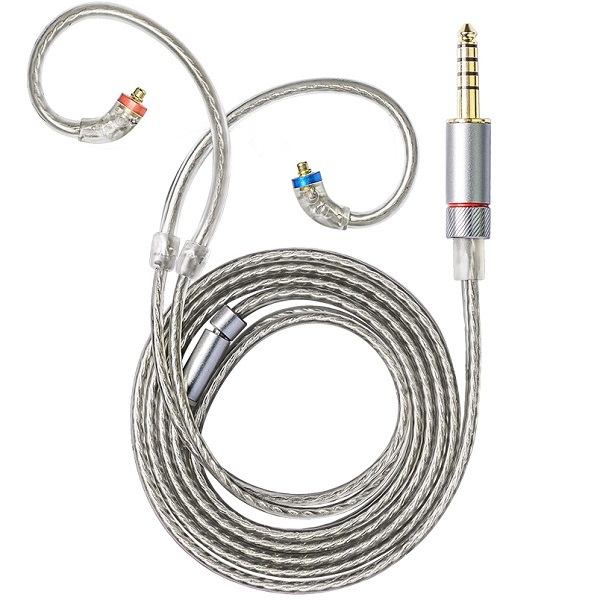 For serious portable audiophiles who want the best in balanced connections or for all music enthusiasts who want their music to sound the best it can. The core of the new Fiio B cables consists of high-purity monocrystalline (single crystal) silver--plated copper (OCC). 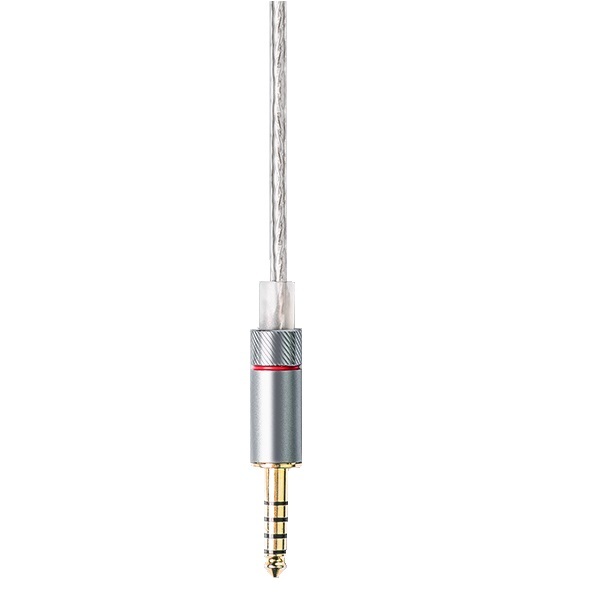 These strands are joined together with extremely strong Kevlar fibres to ensure your audio signals are transmitted with the utmost fidelity while maintaining maximum durability. The left and right channel cables are put side by side in a double stranded design, which allows for the two-channel separation. All of this in an eye-catching semi-transparent cable sheath made of environmentally-friendly TPU. The MMCX connectors are made totally transparent (even on the blue and red markings that indicate the left/right channels) to maintain a sense of a cohesive flow through the whole entire cable as well as to let you glance into the inner workings of the connector.